This week I'm very excited to partner with Sheinside for a new giveaway! 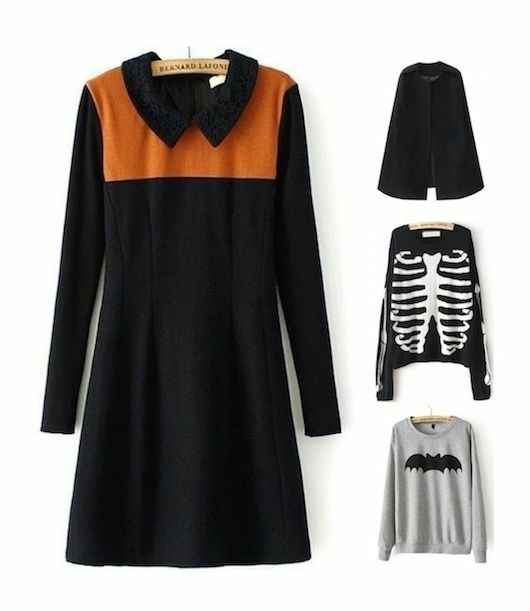 We're heading into prime shopping season as we pick new fall pieces--not to mention pseudo-Halloween gear (like skeleton sweaters and bat accessories!). I'm excited to start wearing my skeleton hand hair clip I got from Sheinside last year and I have my eye on a few new theme pieces that my closet seems to be lacking. The winner of this giveaway will receive a $100 voucher to Sheinside and a surprise lucky bag with their order too!